Nearly three years after the referendum, following intensive London-Brussels shuttling and endless parliamentary debates and votes, the United Kingdom’s withdrawal from the European Union is still surrounded by question marks. The UK is – and will remain – a divided country for a long time to come, regardless of the outcome. This is politically and economically worrying, not only for the British but also the EU and the world. In this issue of Reflections, SEB economists Richard Falkenhäll and Robert Bergqvist explore various aspects of Brexit with the aid of 14 questions and answers. One key overall conclusion is that major efforts are under way on both sides of the English Channel to avoid a no-deal Brexit. 1 The UK Parliament has recently held several Brexit votes. What are the three most important conclusions from these? Answer: 1) A divided country. For years, EU membership has been a contentious issue, splitting the nation and Parliament − countryside vs city, north vs south, old vs young – and cutting through both major parliamentary parties. Issues that lead to intra-party (as opposed to inter-party) conflicts are often hard to manage. 2) “No” to a hard Brexit. The various votes show quite clearly that Parliament will never accept British withdrawal from the EU without an agreement – a “hard Brexit”. 3) Poor management. On issues of this type, it is important to build broadly based multi-party support, with Parliament involved from day one. When Prime Minister Theresa May writes her memoirs, she is likely to realise that her initial management of the Brexit issue – drawing red lines and focusing myopically on keeping together the Conservatives – was her big mistake. The EU has also been amazed at how poorly prepared the British have been during withdrawal negotiations. On Thursday, June 23, 2016, the British people voted 51.9%- 48.1% to withdraw their country from the EU. That same autumn, the government formed its strategy for withdrawal negotiations. On March 29, 2017 it submitted a formal withdrawal request to the EU. At that point the clock began ticking on the stipulated two-year withdrawal period. Negotiations began in July, and in December 2017 the two sides agreed on the terms of the divorce. In March 2018 they agreed on a transition period until the end of 2020. In November 2018 a complete agreement was in place. After a 432-202 loss in the first House of Commons vote, amendments were added but the Commons again rejected the agreement by 391-242. 2 The EU has approved the Brexit agreement and accepted some clarifications. Why won’t the UK Parliament approve it? Answer: The agreement is a 599-page document that sets out the withdrawal conditions plus a political declaration specifying guidelines for the future EU-UK relationship. Three more documents have been added. Most of all this is actually acceptable to Parliament. But the main problem for Parliament is the “backstop” rule, aimed at guaranteeing an open border between Ireland and Northern Ireland. This is partly because MPs fear losing influence over the process to the EU. Parliament is meanwhile split into various factions, advocating everything from a no-deal Brexit to keeping the UK in the EU single market or completely cancelling Brexit. Each faction is rigidly pursuing its own policy, without an apparent willingness to compromise. 3 What does the “backstop” concept actually mean? Why is it causing so many problems? Answer: : Negotiations on a new trade agreement will continue past the formal withdrawal date and during the transition period. The Brexit agreement includes provisions guaranteeing that the border between Ireland and Northern Ireland will stay open even if trade agreement talks reach an impasse. In practice, this means that until further notice the UK will stay in the EU customs union but that Northern Ireland will retain some parts of the regulations governing the single market. Brexit supporters perceive this as a lasting constraint on British self-determination and the creation of a physical border in the Irish Sea that can be viewed as driving a wedge between the four parts of the United Kingdom: England, Scotland, Wales and Northern Ireland. 4 The UK Parliament was expected to hold a third vote on the Brexit agreement but this was stopped by the Speaker. Why? Answer: The British government previously lost two votes on its Brexit agreement by wide margins (230 and 149 votes, respectively). John Bercow, Speaker of the House of Commons, thinks that Parliament has now expressed its view on this agreement, and extensive changes in the agreement or in the political declarations surrounding it will be required before Parliament should be allowed to vote a third time. 5 The plan was for the UK to leave the EU on March 29, 2019, followed by a 21-month transition period. What happens now? Answer: After the Speaker blocked the government on March 18 from submitting its Brexit agreement for a third House of Commons vote, the withdrawal date is likely to be postponed. 6 How long an extension will it be? Answer: One possible strategy is to try to bring about certain changes in the agreement, thereby opening the way for a third Commons vote on it. If so, an extension until June 30 is most likely. Alternatively, the government and Theresa May will now be forced to realise that the strategy they have pursued since 2016 is not working; they must simply re-assess their entire withdrawal model and devise a new strategy that Parliament can accept. In that case, the government is likely to request a lengthy extension of the withdrawal period. It is hard to say how long such an extension would be. A reasonable guess is until the end of 2019, but perhaps even longer than that. One complicating factor is the European Parliament elections in late May. 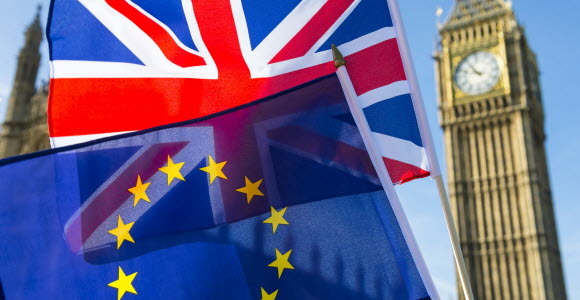 The EU maintains that if the withdrawal date is postponed until after June 30, 2019, the British must participate in the EU elections. If they don’t, this will close the door that enables the EU to postpone the exit date, under existing treaties. 7 What paths can Theresa May and Parliament choose? Answer: More and more MPs have argued that Parliament should be allowed to hold indicative votes to test all conceivable Brexit alternatives, for example remaining in the customs union or perhaps cancelling the UK’s withdrawal request. May has also previously announced that she intends to step down this summer, and it is entirely possible that she will take the government with her. If so, the UK will hold a snap election later this year. Given a new British political leadership, withdrawal negotiations with the EU could resume, based on the current agreement. But assuming such a series of events, putting an agreement in place will require more time – probably a lot more time. 8 Can we assign probabilities to the various Brexit outcomes? 9 Will the EU accept a delay in the UK’s withdrawal date? What happens if it doesn’t? Answer: Yes, absolutely! All decisions made by the EU must take into account that its member countries would like the UK to remain in the EU or to cooperate with it as closely as possible. The EU will thus have no major objections to extending the withdrawal period, since this may ultimately lead the UK to re-assess its position completely. If the EU refuses an extension, two alternatives remain: either to leave the EU with no deal or cancel the UK’s withdrawal request and stay in the EU. 10 Would a hard Brexit be so bad? Answer: It is always complicated to assess the effects of a hard Brexit, but various calculations indicate that it might have a very negative impact, especially on British economic growth. But a hard Brexit is also likely to hurt EU growth. According to some estimates, it might slow British growth by as much as 0.5-1.0 per cent over the next 15 years. In other words, it would halve economic growth during the foreseeable future. Another factor is that a hard Brexit would take effect immediately on March 29, with no transition period. This is likely to have many unexpected effects on everything from trade to financial markets. No one really knows the exact consequences if this should occur. 11 What will happen if Brexit is delayed for a lengthy period? Will it still take place? Answer: This is not at all certain. Meanwhile it is worth recalling that although British public opinion seems to have shifted somewhat since the 2016 referendum, the latest surveys say that 46% of Britons still want to leave the EU. 12 What are the economic and financial market effects of what is now happening in the UK? Answer: Although financial markets have been highly turbulent in recent weeks, the pound has appreciated and British bond yields have climbed a bit. The reason is that market players believe the risk of a hard Brexit has fallen. If the withdrawal period is extended, this should lead to a stronger pound. The British economy has already taken a beating because of Brexit-related uncertainty. Fourth quarter 2018 growth was weak, and business investments fell in the past four quarters. We also expect a listless start to this year, and the British government recently cut its 2019 growth forecast from 1.6 to 1.2 per cent. But political turbulence is also having consequences far outside UK borders. The UK is a key trading partner of several EU countries. This is true of such countries as Ireland and the Netherlands, but Germany also has sizeable trade with the UK. If the British nevertheless choose to leave the EU with no deal, this will probably be reflected by weaker growth in various EU countries over the next few years, while also adversely affecting global financial markets and risk appetite. 13 How will a messy withdrawal from the EU affect Sweden? Answer: The UK is Sweden’s sixth-largest export market. If European growth is adversely affected, Swedish exports will feel the impact. Meanwhile global growth is already showing some signs of weakness. Slower economic growth may force the Riksbank to postpone its next key interest rate hike, which is expected to hold down the appetite for buying Swedish kronor. 14 What are the most important dates to keep an eye on?